Deciding to remodel your home is a big decision. Outside of buying your home, it may be the single biggest investment you make. You need to know that the remodeling contractor you choose is a full-time, dedicated remodeling professional. NARI’s certification program offers this assurance through its extensive screening and testing process.Only full-time, professional remodeling contractors are eligible for certification by NARI. 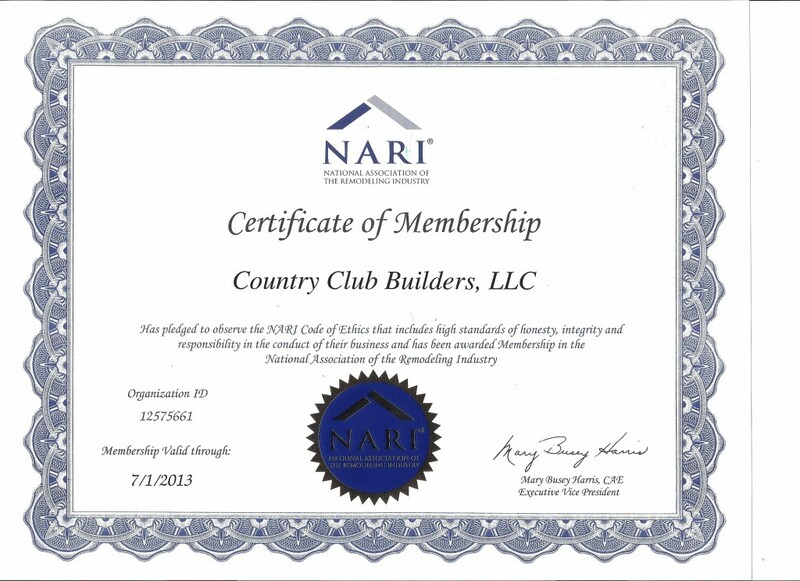 You can be assured that any time you hire a NARI certified remodeling contractor, you are hiring an individual who has made a strong commitment to the professionalism of the remodeling industry and to his or her business. And because remodelers are not eligible for certification until they have been actively involved in the remodeling industry for at least five years, you know that the NARI certified remodeling professional you hire has had a number of years to develop the experience and skills that can only be gained through extensive hands-on practice.